It is amazing that Australian tax-payers’ money is being used to fight a small neighbour over where the fence-line should be. And it’s a bit of a laugh that with all the talk about “border protection”, there isn’t a border between Australia and Timor, says Josephite Sister Susan Connelly. If you own a home, you know how important the fence-line is. Even if there’s no actual fence, neighbours are better off knowing where the line is, so that there is no dispute about who owns what. It’s puzzling to find that there is no boundary, no fence-line, between Australia and East Timor (Timor-Leste). No boundary! Who’s supposed to know who owns the oil and the gas under the sea? The saga of how this unfortunate situation came about is not a pretty one. And up until now, both major political parties have had similar policies concerning it. So many Australians are generous friends to the Timorese people, and it’s not hard to understand why. In World War II, the Timorese were the great friends of the 700 Australian soldiers who were there. Our men wouldn’t have stood a chance against the thousands of Japanese military if it wasn’t for the Timorese. Australia agreed on a boundary in the Timor Sea with Indonesia in 1972. Timor was then under the control of Portugal which would have nothing to do with the setting of boundaries. So there was no border between Australia and Timor. The part where it should have been was left blank, and became known as the “Timor Gap”. When Indonesia invaded East Timor in 1975, Australia did not help the Timorese. Our leaders had already decided that it was best for Timor to be under the control of Indonesia. In that way, they said, it would be easier for Australia to cut deals about the oil and gas in the Timor Sea. And so it was. In 1989, Indonesia and Australia signed the “Timor Gap Treaty”, which concerned the area of the Timor Sea down to half-way between Australia and Timor. We agreed with Indonesia to split the oil and gas resources of this area 50/50. In 1999 Australia went in to help after the Timorese had bravely voted to be free of Indonesia. The “Timor Gap Treaty” was re-negotiated with the new nation of Timor-Leste as the “Timor Sea Treaty”. Australia got 10 per cent and Timor got 90 per cent. We were told this was “generous”, but it doesn’t seem too generous when you realise that the whole lot is all on Timor’s side of the half-way line. Unfortunately, just before this Treaty was signed, Australia quietly withdrew from the two international bodies which oversee boundary disputes. The whole process was left without an umpire. In 2006, Timor-Leste then signed a Treaty with Australia over the resources of a rich field named “Greater Sunrise”, which again, is all on Timor’s side of the Timor Sea. The agreement was that Timor could have 50 per cent of the revenue, and Australia 50 per cent, on condition that Timor did not even mention the boundary, the fence-line, for 50 years, until 2056. But Australia had bugged the Timorese government offices before the negotiations, so that listening in, Australia had access to private and important information about how the Timorese would conduct the talks and on what they would agree. The bugging operation was carried out by Australian agencies using aid money sent to help the Timorese after the destruction of 1999. A Treaty agreed on in such circumstances is very suspect indeed, and the Timorese believe that Australia did not act in good faith, as do many Australians. So the Timorese are saying they want the boundary agreed on now, not in 50 years time. And they want it agreed in a fair and transparent manner, so that each side can know with certainty which resources are theirs and which belong to their neighbour. In 2016 the Timorese Prime Minister formally asked the Australian Prime Minister for discussions to begin on the matter. Unfortunately, the Australian government has declined this request. Therefore, the Timorese government has introduced a United Nations “compulsory conciliation” process. This means that five commissioners are appointed to consider the matter for 12 months. Regrettably, Australia has indicated that it will try to stop the commission from proceeding by arguing that it doesn’t have jurisdiction. This process is an embarrassment for Australians. It is the first time any nation has taken another nation through this process over sea boundaries. If no agreement is reached, the commissioners will provide a report and recommendations to the United Nations Secretary-General and the Australian government will be required to negotiate in good faith on the basis of that report. To avoid this protracted and expensive process, Australia could agree at any time to commence negotiations with Timor-Leste on maritime boundaries. The Labor Party changed its policy last year, and now agrees that such negotiations should take place. It is amazing that Australian tax-payers’ money is being used to fight a small neighbour over where the fence-line should be. And it’s a bit of a laugh that with all the talk about “border protection”, there isn’t a border between Australia and Timor! That’s all that’s needed – a fair border. This is about justice, not charity. The Timorese aren’t asking for handouts. They just want to decide on a border, for stability and security. And Australians have the same right. Where’s the border? It’s time to DRAW THE LINE. For more information check out the Timor Sea Forum, the Timor Sea Justice Campaign and the Maritime Boundaries Office Timor-Leste. 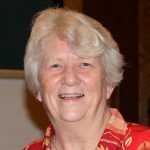 Susan Connelly is a Sister of St Joseph and has taught in Catholic and State schools. She has worked with the people of East Timor and is particularly concerned about the injustices suffered by the West Papuan people, and with Australia’s treatment of asylum seekers.